The Missouri River became somewhat hard to leave. I followed it north into South Dakota, where I camped at Snake Creek camp ground, just west of Platte. 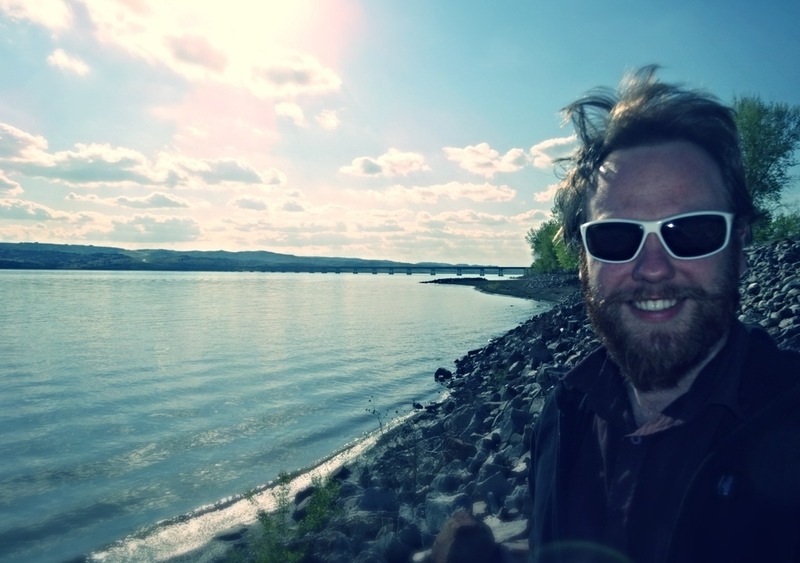 At this run of river, the Missouri stretches itself wide, as if it needs a long, heavy, deep breath before carrying on down through the states. It is wide and it is deep, with high mud banks that it erodes with slow, methodical, almost invisible flow from annual, post winter swells. Snake creek is a boating haven and a fisherman’s escape. Many a chap disappeared onto the water, no doubt suggesting that once they left the shore, they had no phone signal for the wife to contact them…and rightly so. Following the currently bloated Missouri, was to follow the trail that Lewis and Clark took in the early 19th century. These two chaps were deployed by Washington to scale the Missouri, and hopefully find a way over the Rocky Mountains to the Pacific. They were the chosen western gentlemen to first elope up the river, to traverse across the country that no westerner had seen, to discover its wonders, and “welcome” what came to meet them on its banks. According to Jefferson (President in 1804 when the mission was hatched), the goal was to find “the most direct and practicable water communication across this continent, for the purposes of commerce.” He also wished to declare U.S. sovereignty over the land occupied by the many different tribes of Native Indians along the river…typical. The guys did finally find a way to the west, but they didn’t bank on the Missouri running out, and having to cross an extra set of mountains west of the Rockies, The Sierra. Together, they eventually they found themselves travelling down the Columbus River (which white man had already put to good use) on route to their desired location, The Pacific. Lewis and Clark are now marked as important, pioneering adventurers. They discovered the lungs of America, that vital transportation could be achieved into the heart of the nation and beyond, they noted key environmental finds on their route as well as sending messages back to Washington that they were successful in meeting with the river locals, and they found out what the great interior had in store for new settlers. 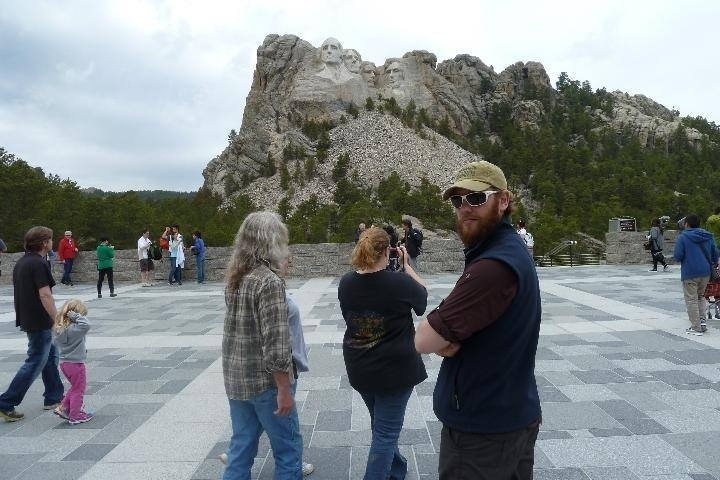 Home to various national parks and monuments, South Dakota was always a state which I wanted to spend some time in. It didn’t disappoint a nature loving Englishman. On leaving Snake Creek and the Missouri, I headed further west. Finally, the corn fields turned to a mixture of rolling hills, creek valleys, cattle grazing land and cowboy country. It was a long journey across South Dakota, but I did finally make it, to what I considered my first, pure, American experience… in Badlands National Park. On entering the park, I had an impression of what the landscape was going to be like, and from the name, assumed it would be an inhospitable environment. I had seen the relatively tall peaks from a few miles away; they were obvious in their stature, sticking up like large, muddy stalagmites from the flat grasslands around them. I was warmly greeted by goats, big, grey goats; politely staring at me from the muddy peaks. A mile further along, I encountered a coyote running off across the plain. There was a constant noise – over the top of the whiney mother who was asking her son not to go too near the edge of the muddy drop off; party pooper – much like the noise you get when you squeeze a dog toy repeatedly to annoy a child. 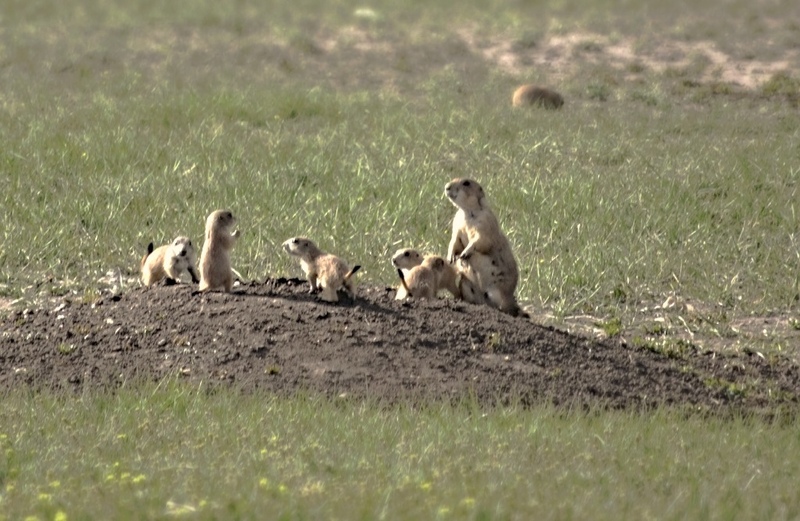 The squeaky dog toy noise were thousands upon thousands of young and old, sandy-coloured, miniature handed, defensive little prairie dogs. Clearly happy that spring had arrived, whole families positioned themselves on their sun-drenched doorsteps, and seemingly, were having rowdy chats with their neighbours…no doubt informing each other of the wandering coyote. 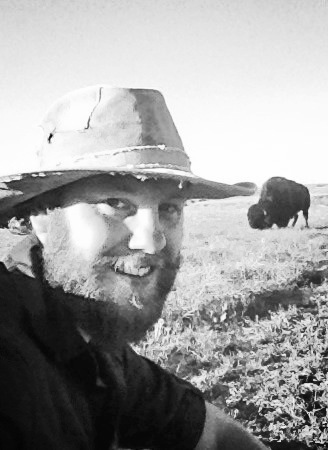 Another half mile, and I came face to face with the great American bison. These creatures ARE America to me. Sadly, also on the list of what makes America, are fast food joints, obese people and sandal and sock wearing elderly folk that parade around in their recreational vehicles all summer. To me, the great creatures of America instil inspiration and solidarity, passion and majesty of a nation that so much of the human world lacks (when I say “world” in the USA, I mean up to the border). They stand for nature’s hardships and are living proof that there are dominant, environmental forces that can withstand our ignorance (barely). 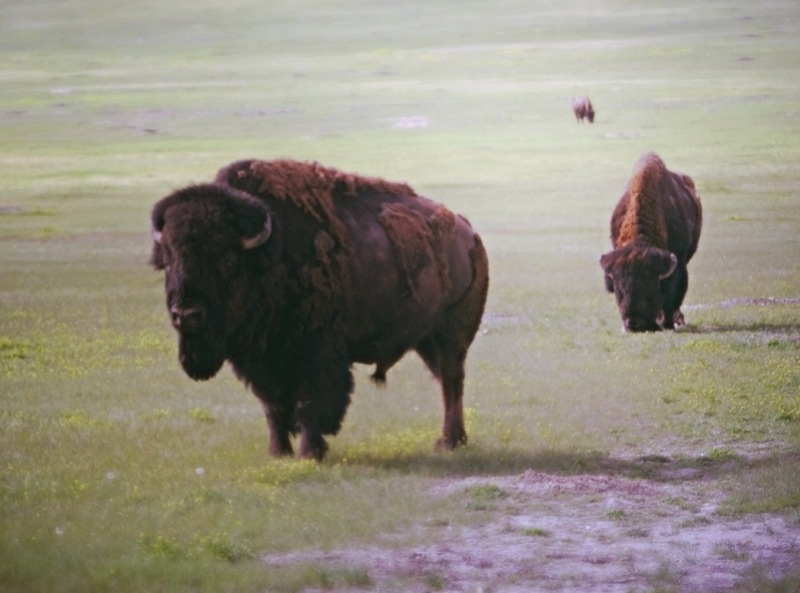 Recently, seeing coyote, prairie dogs, chipmunks, bald eagles, the mighty bison and hopefully bear and moose to come (wolf and cougar may just be too difficult to spot), I felt like I had arrived in America. 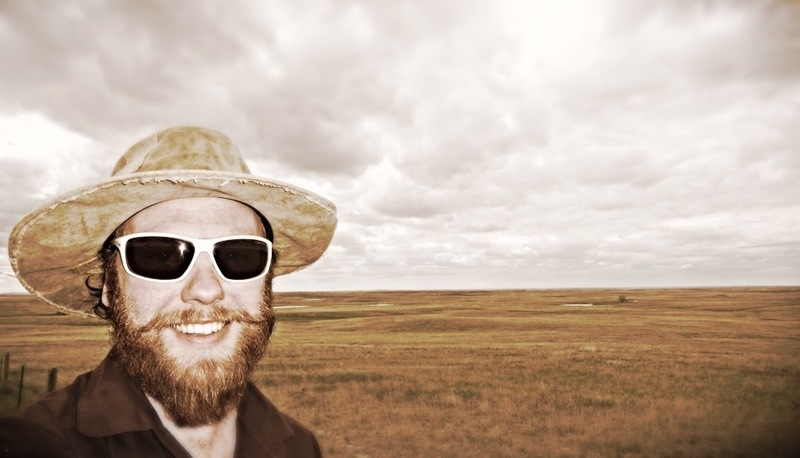 I spent two nights in Badlands National Park, and because the landscape was like no other I had encountered on my trip, or seen anywhere else in the world, I felt like the serious business of checking out the American wilderness had begun. 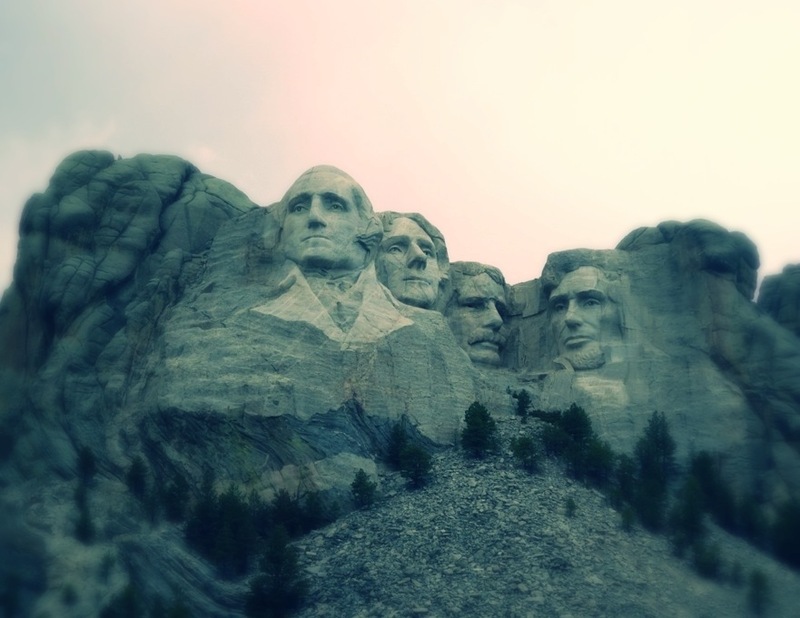 Not long after Badlands, I visited Mount Rushmore National Monument and the new, Crazy Horse Memorial. Not through lack of ignorance; I didn’t see the attraction of either. Rushmore used to just be an impressive, rocky mount. 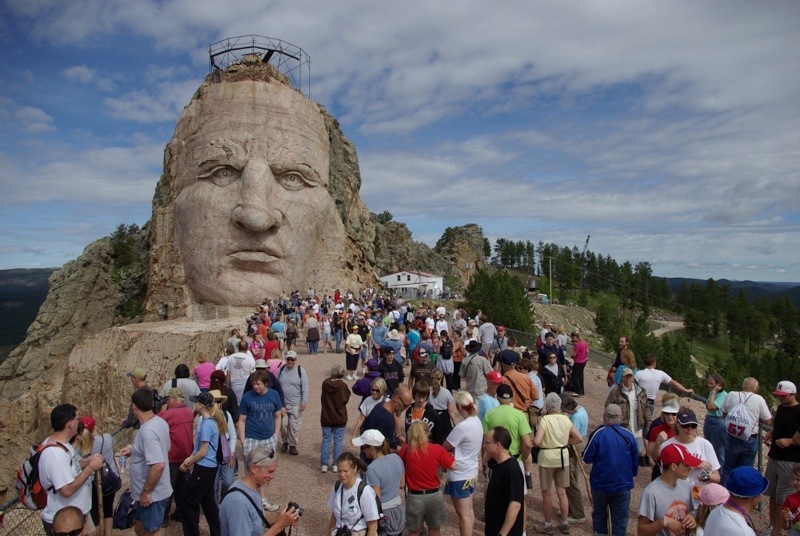 It was deliberately vandalised, sorry, sculptured for the sole purpose of creating a tourist attraction in South Dakota. It still stands today, albeit with some extensive maintenance work, solely as a tourist gift shop, sorry…attraction. I’m sure if Theodore Roosevelt could speak on the subject of how the natural landscape has been used to thrust his face and fame onto such an unnatural attraction, he would probably have some colourful language to say on the matter. Simply walking into national parks or monuments is a strange thing in the US. The ticket booth is for vehicles, and this is understandable, as most of the time the camp grounds (which must be used) are a twenty mile drive from the entrance of the park. Mount Rushmore is a short drive, but straight into a multi-story, concrete car park on the side of the mountain. You then walk from the multi story car park up a giant concrete walkway with steps and up further, past two concrete buildings, one the toilets and one the gift shop. A short walk again takes you on a concrete (sorry, its granite) corridor of state flags, a restaurant, serving school dinner-style burgers and chicken, and then on to the “concrete” viewing platform which conveniently holds approximately five bus loads of Japanese tourists, or any tourist bearing nation. There is a short trail around some trees directly under the “decorated” mount if you care to take it, and then you back track, back to your car. You are charged for parking, but apparently not for viewing or personal entry into the monument….again, everyone has a vehicle. Crazy Horse Memorial stirred mixed emotions. Exactly the same vandalism of a natural rock face (the largest rock sculpture on the planet) is still under construction. It will depict Crazy Horse himself, riding a steed, staring back over the lands “where his ancestors are buried”. Very quickly I am told that the native Indians requested a similar historical celebration of their culture be carved into a mount for all to be aware that “the red man has his heroes too”. The land around Crazy Horse is being developed into a research centre and a college, covering a few hundred acres with its own aircraft runway. There are bus tours up the semi-completed, dynamited rock to see its progress. It is sarcastically, typically “native Indian”. People currently stood on Crazy Horse’s unfinished, outstretched arm. The only thing that made sense to me, was that the government was not funding this project. What made even more sense, was that funding was refused because it was believed that the government would not have the best interests of the natives or the sculptures in mind. Twenty million dollars had been turned down by the project leaders, and tourists who wanted to see the monument would pay for its construction. 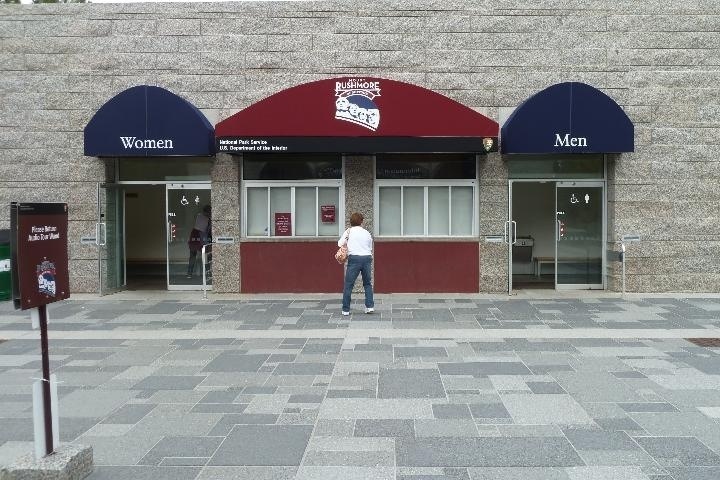 On both monument accounts, I simply can’t get my head around why morally, people would make a mountain into a “gift shop”, and not purely the rock artists, but the “fans” that want to visit it. I wasn’t aware that Rushmore was constructed solely as a tourist attraction, and I’m sure that Crazy Horse would not have even been conceived, nor its restrooms, if it hadn’t been for the impressive examples at Rushmore. It is impressive masonry/sculpture. It is a money making tourist attraction. It is also something that in other areas, the Americans are shameful of. Many of America’s national parks have, and are still dismantling and removing all traces of some of their iconic, human-constructed, historical tourist attractions and buildings which nowadays are seen as scars on the American landscape. This entry was posted on June 14, 2014 by winstonwolfrider in USA on $6 a day.